Honeymoon should be a precious moment for any newly wedded couple. They celebrate their marriage and the symbolize the gratitude for a new life they have by spending a great moment called honeymoon. As the name implies, honeymoon describes the happiness on the diction ‘honey’ which is sweet and, and moon indicating a certain period of time. Unsurprisingly, any new wedded couple would be very enthusiastic in preparing honeymoon including in choosing the destination they would head to, enlisting the goods they will bring and browsing any needed information about the things to do and no to do during the trip or at the destination. Well that does makes any sense because honeymoon will be always remembered at the rest of marriage. If you are in such position, or you are going to give a special gift package of honeymoon for your beloved ones, you don’t need to be confused in looking for the honeymoon destinations in Indonesia. Either don’t you need to think about big budget or far destination abroad. Indonesia has many interesting places suitable for honeymoon destination in Indonesia. A lot of international tourists come to Indonesia for spending their holidays even honeymoon, why then do you choose to go overseas if your surroundings are not less interesting? Anyway, if you still have no idea about the honeymoon destination in your surroundings, following is the list of criteria you can take in mind in choosing or shortlisting some recommended spots for your honeymoon destinations in Indonesia. 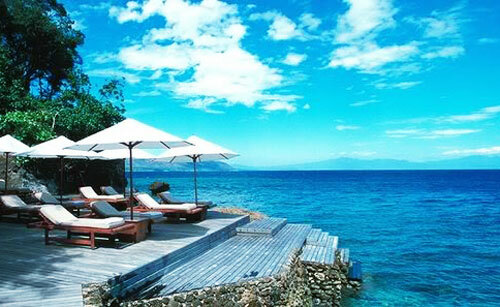 Any popular destination doesn’t always mean that it is comfortable and suitable for honeymoon in Indonesia. Even, a popular destination closely relates to crowd which can be disturbing enough for honeymoon moment. Therefore, it is advised for you not to prioritize the popularity of a destination especially if it is crowded and visited by a lot of people. You may not able to enjoy your honeymoon well. However, for any destination which is popular as honeymoon spot, you can consider it at best. Try to search for a recommendation for those who are experienced or knowledgeable enough about tourism places or honeymoon destinations in Indonesia. You can do it by asking personally or browsing at the internet. In general, any newly wedded couple would rent a resort and stay at a hotel during their honeymoon. This regards to the nuance of honeymoon which is identical to the quietness and calmness. You may consider this factor in choosing the destination and the place you will stay at night. Quiet and calm place do not have to be found in any rural areas of villages far away from any public places. You can find it at the tourism destinations usually natural ones such as beach, mountain, valley, lake, river and so on and so forth. Whenever a developed natural tourism destinations found, you can easily find hotels or resorts around. Some public places are usually also available so you will not deal with any panic to meet your needs during the honeymoon period. A problem of budget also needs to get your attention as honeymoon is a sort of celebration for marriage so you need to adjust your wishes of honeymoon with the budget available. Marriage process should require you to pay much money, so that do not force yourself to choose any luxurious honeymoon destination in the limited budget. Consider many things, especially the budget available the urgent needs you have to cover in a close time. Therefore, you are demanded to be smart in dealing with this situation, especially if you have limited budget. 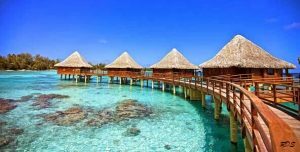 Try to find any cheap yet valuable honeymoon destination and make the time precious and unforgettable by only spending relatively minimum budget. You may choose a honeymoon destination close to your family members’ house so you should not rent the resort, at the village of your grandparents, the city of your best friend etc. Every newly wedded couple may have different purposes of honeymoon including what honeymoon means to them. However, at general, they need honeymoon to refresh the mind, have quality time much more than the usuals, succeed pregnancy program or simply escape from the routine activities they have. Based on this common purposes, it is recommended that you put this thing in your mind when considering the honeymoon destination you are going ti visit. Therefore, you will not loose your focus and enjoy your honeymoon at whole. If it is possible, try to find any destination which can lead you to several places you will enjoy visiting during your honeymoon. If you plan to choose natural tourism destination places, for example, try to find any spot close to other ‘needed’ places, such as resort, shopping center, culinary center, security center and other public places. A city or a town with some interesting places completed with well-managed shopping center(s) and culinary spot (s) could be the most preferable. Well after considering a list of things you can take in mind in choosing and or shortlisting honeymoon destination, here are some Indonesian cornerstone honeymoon destinations to shortlist and choose depending on your wishes, available budget or other consideration. Lombok Island has some preferable destinations for honeymoon in Indonesia including Senggigi, Gili Trawangan, Gili Air and Gili Meno. At general, it is rich of natural tourism places which are relatively fresh and ‘virgin’ yet well-managed. You will enjoy natural tourism spots and the quietness living at the island for making your quality time more valuable. One more thing to consider is about numbers of spot to head to by just doing one visit. Once you arrive to Lombok, you may provide two or more days to visit all or some of its top destinations places. For your information, avoid to visit any destination that will be too much time and energy consuming such as Segara Anakan and Pink Beach. Remember that for your honeymoon, you need to use your energy well. Make a plan to visit those two spots in other occasion. Do not forget to taste Taliwang Chicken which is a special culinary food of Lombok. 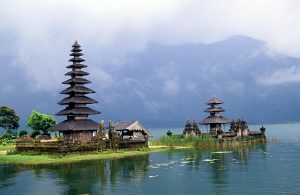 It is not surprising why into some extent, Bali is more popular than Indonesia itself, especially at the reference of foreign tourists. 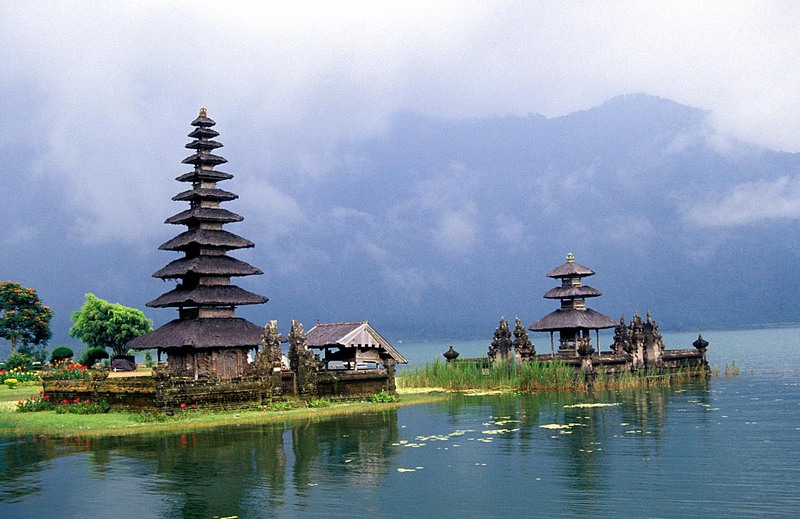 Bali has many destination places to visit from natural phenomenon to cultural spots. However, remember that if you want to spend your honeymoon in Bali Indonesia, be smart and selective in choosing the destination because you and your spouse need quality time without any crowd and trouble. Choose the quiet and fresh spots at Bali close to tourism places and shopping center such as Kintamani, Bedugul, Ubud and Baratan. Denpasar and other Balinese towns, like Kuta and Benoa are full of traffic jam which will get your frustrated. If you tend to visit any beach and stay around, Dreamland or Karma could be your main reference. Bali also has some shopping centers with special product—including Balinese culinary—that you will be sorry to miss. 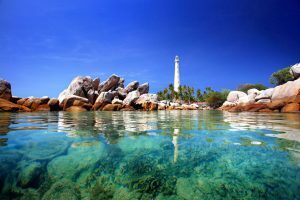 Bangka Belitung Province has two islands, which are Bangka and Belitung Islands. As small islands, visitors will enjoy the beautiful view of both islands and seas together during their visits. This is particularly suitable for your honeymoon in Indonesia as you and your spouse can recharge mind and energy looking at the miniature of the world which land and sea seems inseparable. Resorts and restaurants at the province are also available to make your quality time better. If you are interested in visiting this destination, it is better for you to avoid school holiday, end of year, weekend, month end, or other regular holidays because there will be a lot of visitors there and your comfort is perhaps distorted. 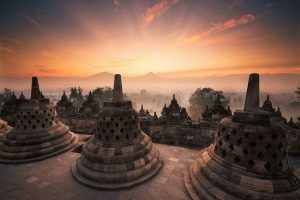 Yogyakarta is a popular tourism destination not only for a newly wedded couple, but also for regular traveler, students in their holidays or people at general. 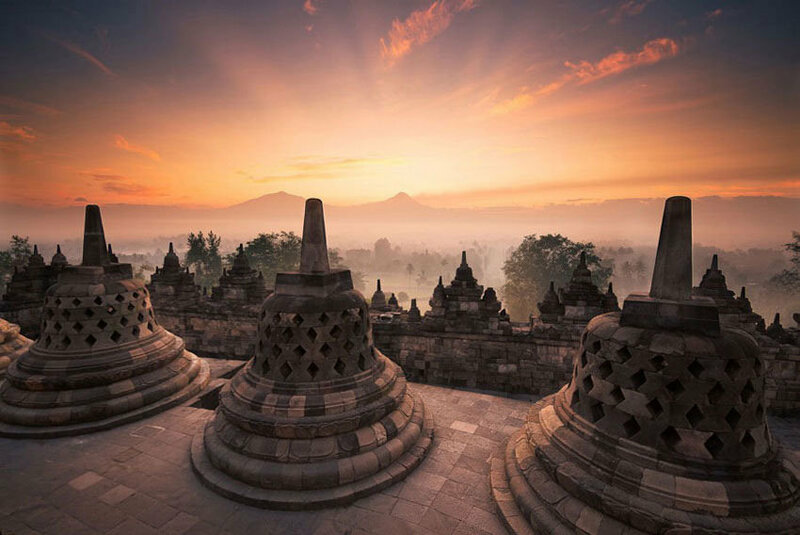 Therefore, you need to be well-prepared in taking Yogyakarta as your choice, especially in determining which tourism places you and your spouse are going to visit. In order for you not to stuck at the crowd, as Yogyakarta now is quite different from what it was, due to traffic jam, pollution and rising numbers of modern malls, choose any quite and calm places from beaches to mountain. You will enjou great experience by visiting beaches at Gunung Kidul Regency as well as Bantul, while Merapi mountain offers you different spots from Kaliurang, Kalikuning, Kaliadem and the center of salak (snake fruit) pondok at Sleman Regency. After making yourself satisfied with those places, it will be ok for you and your spouse to go downtown visiting shopping center, just like Malioboro, Silver Center at Kotagede or Gudeg Spots at Wijilan or Sagan. Although the crowd will disturb you, especially if you go to Yogyakarta at holiday period, you will keep enjoying the city because it offers traditional touch from people’s attitude, angkringan food, local and traditional vehicle and so on and so forth. You can also enjoy visiting some cultural destination places such as Keraton (Sultan’s Palace), Taman Sari, museums, Monjali (Monumen Jogja Kembali) etc. Located not quite far from Jakarta, these places can be your preference especially if you want to choose surrounding areas. Lembang is a part from Bandung and has a very quiet air, especially when compared to Jakarta. It is also close to Tangkuban Perahu mountain and warm water pool at Ciater. Therefore, by just doing one visit, you can have different experience from those tourism spots. Meanwhile, Seribu Islands, as the name implies, thousands, has some small islands separated by the sea that will be exotic and preferable for enjoying your honeymoon. It has ‘virgin’ seas and big tress for ensuring that every visitor will really enjoy the time, particularly at the sunrise and sunset. The sea flow is also under control so you may enjoy sea-sports in your visit such as snorkeling, skiing, banana boat, diving and others. The most popular islands are Tidung, Bidadari, Anyer, and Pari Islands, but you can visit others as you want, including the inhabited islands. If you tend to spend much time with your spouse without being interrupted by anything, a resort at Pantara Island offers that concept. They do not even provide television at the room so that the spouse can spend quality time together longer. Located at the ‘head’ of Papua Island, Raja Ampat offers such a paradise world for those who like sea world and do diving, includung a newly wedded couple. It is also quiet and relatively ‘virgin’ so that visitors would feel like back to nature by visiting and staying there. Diving would also be priceless experience as Raja Ampat has 75% of the worldwide undersea spices so you can really enjoy the ‘gift’ that Raja Ampat offers. Besides diving, you can also playfully enjoy other sea sports including sea-skiing and snorkeling. Tourism villages at Raja Ampat could also be your must-visited place such as Sauwandarek. You will feel and experience traditional life by having a visit to the village and directly buy traditional souvenir from the local people. 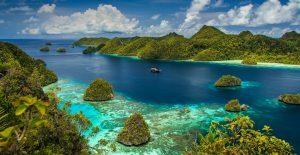 All by all, Raja Ampat is a perfect destination for honeymoon but your may consider the high budget you need to spend when deciding to take Raja Ampat as your choice. Popular as an escape destination of Lady Diana from paparazzi’s hunt, this island could also be your prefrence for honeymoon. 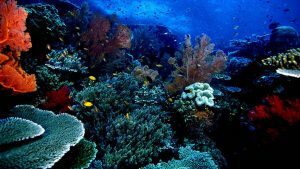 Located at Nusa Tenggara Barat, you will experience the real and original sea life during the visit to this island. There are relatively a few people there so you can really enjoy quality time with your spouse at the beach while enjoying the natural view, snorkeling or diving. Some resorts are also available and will lead you to enjoy very clear and clean water of the sea that you can directly sea undersea world. 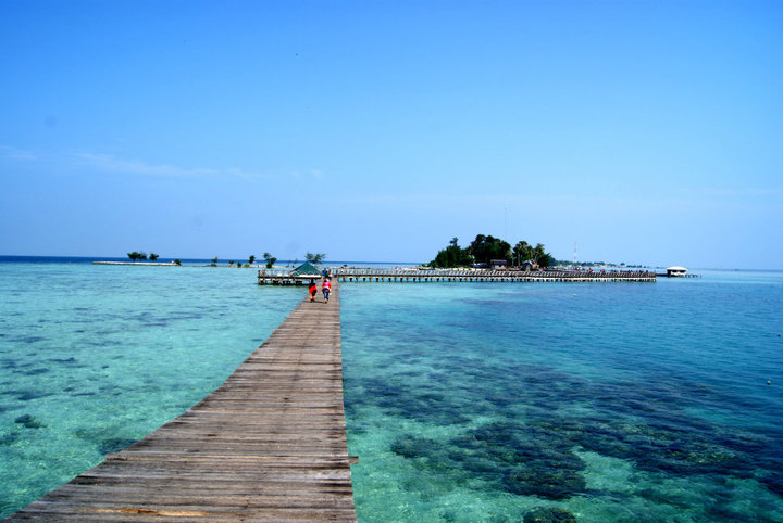 This island is often called as Indonesian’s Maldives as it provides similar nuance and view. Offering beach and its natural nuance as the main ‘menus’, Ora offers some resorts floating on the sea water, some of which are wood-made. Ora is also popular with its green and clean sea water so that in the daylight, visitors can clearly see the living fish and other sea creatures with naked eyes. If you have enough budget and time to spend your honeymoon, this island would be the best choice because staying close to the nature will reborn you in the new life you and your spouse have just got. Well, you must be so lucky to spend your honeymoon with the best lover in the best island. 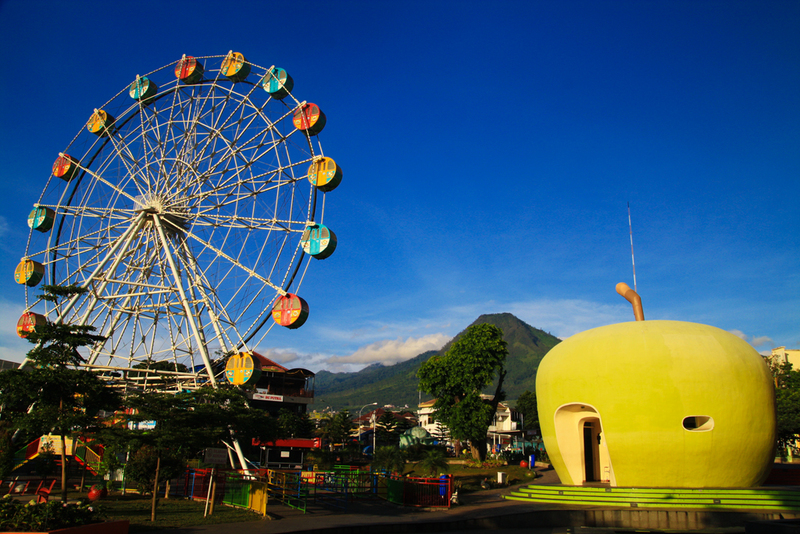 Malang is a beautiful town located at a mountainous area so it offers fresh and clean air. However, as it is an educational town as well as industrial one, it is recommended for you to choose Batu as the destination. You will be far away from Malang’s crowd and abl to totally enjoy the fresh air at Batu. Many natural tourism spots are also available from beaches to mountains surrounded by resorts, hotel and shopping centers as well. A special fruit of Malang is apple and you can buy it cheaply in your visit, even picking it directly from the tree. Malang is also popular with its culinary especially chips from several main ingredients from apple, snake fruit, jack fruit, spinach and so on and so forth. Even if Indonesia doesn’t have snow, some spots are very cold and fresh, just like Dieng, Banjarnegara. Located at the montanious area between Banjarnegara and Bondowoso, Dieng mountains would be a good place for your honeymoon period. It is believed that traditional people there do not take a bath everyday due to the cold weather. 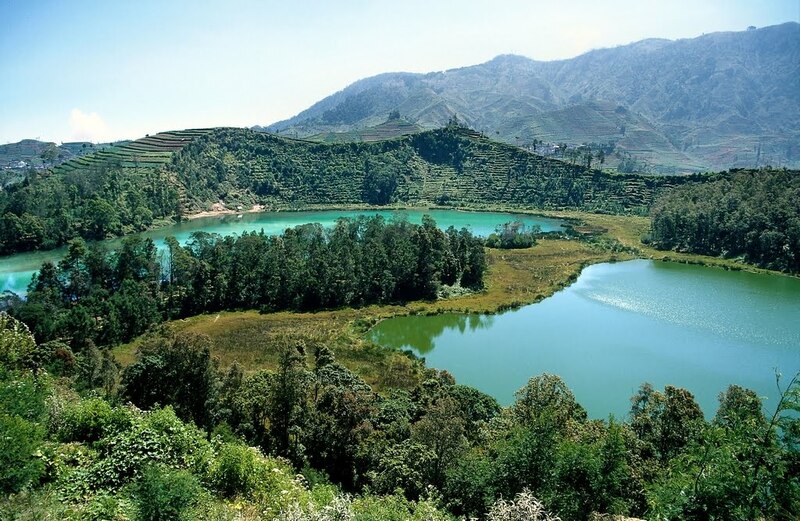 You can directly experience the weather and the air during your visit while going to some tourism spots from cultural one to natural ones just like calderas, gardens of carica, special fruit from Dieng, gardens of many types of vegetables etc. The downtown of Banjarnegara and Wonosobo are not so far from Dieng so you can also taste special culinary such as ongklok noddle and Dawet Ayu. Losari is a romantic beach for those who fall in love or have just got married. Offering special things which other beaches do not, Losari gives beautiful sketch of skylight at the afternoon and early morning. Surrounding restaurants are also available and suitable for having candle-light-dinner with your spouse. You can also experience swimming or diving at Salmalona beach at early morning while sun-bathing and having quality time. Also, Losari is the most popular icon in Makasar. Indeed, you can get the perfect scene of sunrise and sunset looking from Losari beach. Bunaken beach at Manado, South Sulawesi, is broadly considered as an international honeymoon destination, especially after Prince Charless and Lady Diana took it as the choice for their special moment after the royal wedding. It is particularly suitable for you and/or your couple who like undersea adventure and tour. Colorful fish and undersea creature will make your honeymoon special for presenting the world as if in your hand. You can also take some beautiful pictures during your visit, even for your pre-wedding photo session. Well, you would not be regret if you choose Bunaken beach as your honeymoon destination since this beach is totally beautiful. Bunaken is likely heaven under the sea. Indeed, there are many places in Indonesia that may suit your honeymoon days. Thus, these beautiful places may improve you chemistry and love with your couple. So, happy honeymoon there!